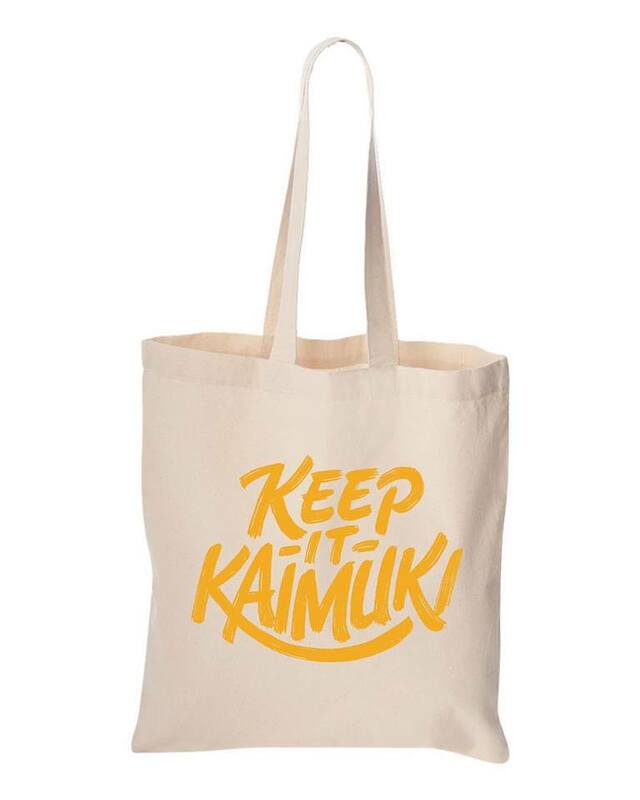 BY WEARING YOUR KEEP IT KAIMUKI TOTE WHEN SUPPORTING YOUR FAVORITE KAIMUKI BUSINESSES! *10% OFf your entire purchase. *10% off food on thursdays, not valid with any other discount programs, no split checks, exclude beverages, alcoholic drinks, special menu, desserts and dressings, other restrictions may apply. *15% off your entire purchase. exclusions may apply. *10% off your entire purchase w/ KIK TOTE. *10% off materials for synlawn products under 200sq.ft. *20% off materials for synlawn products over 200sq.ft. *free grilled lemon lemonade with any purchase. *10% off your entire purchase (not including sale items). *10% off your entire purchase. cannot be combined with other promotions. *15% off of salvage public apparel. *wednesdays - 10% off any in-stock item (excludes customized orders). *FREE BAG OF CHIPS OR CHOCOLATE CHIP COOKIE WITH THE PURCHASE OF ANY SANDWHICH. *$5 off a regular priced drop in and/or 10% off any regular priced retail item. *10% discount on pilates products (balls, bands, rollers, bolsters, mats, & essential oils). only two items per purchase.